Give me a reason to bust out the deep fryer! 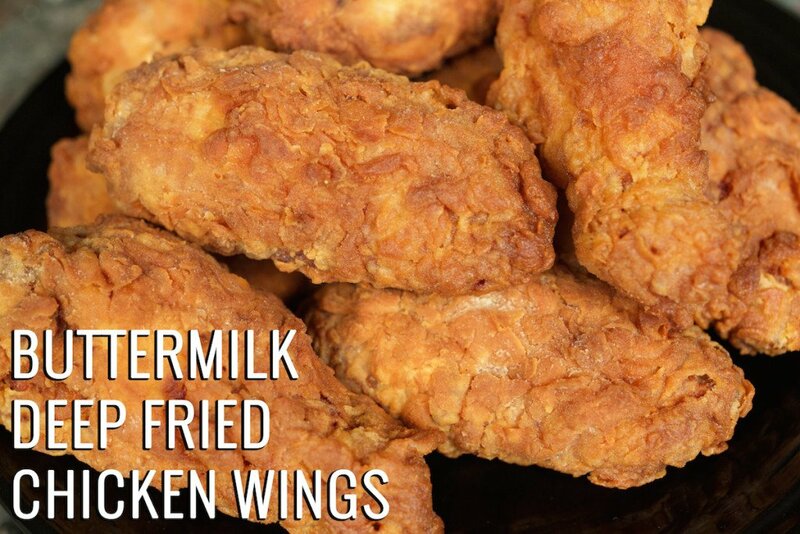 The minute I saw this recipe for fried chicken I began heating up some oil. 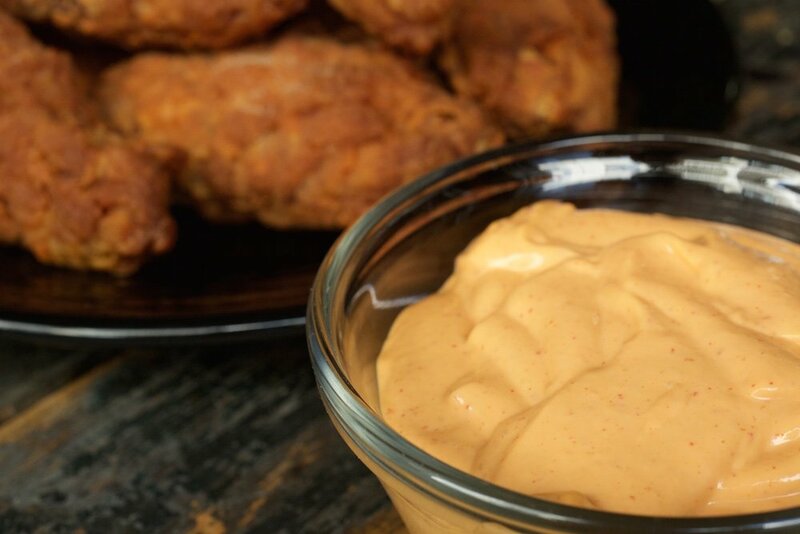 Also, wings give me a reason to make a sauce….scratch that, sauces to dip said wings. I love sauces and I love having options so I made two. Had I had more ingredients I probably would have made another. 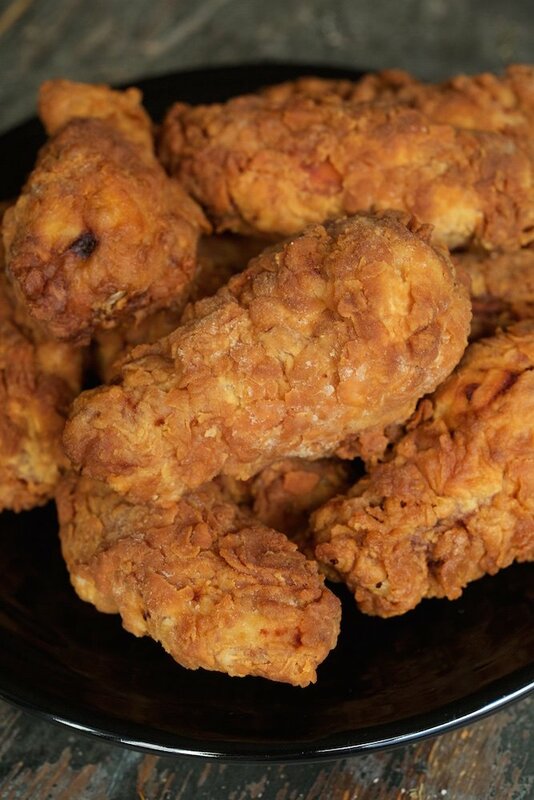 The fried chicken turned out so light and crispy and was very easy to prepare. Accompanied by these sauces, I had a hard time stopping myself from eating every single little leg and wing. 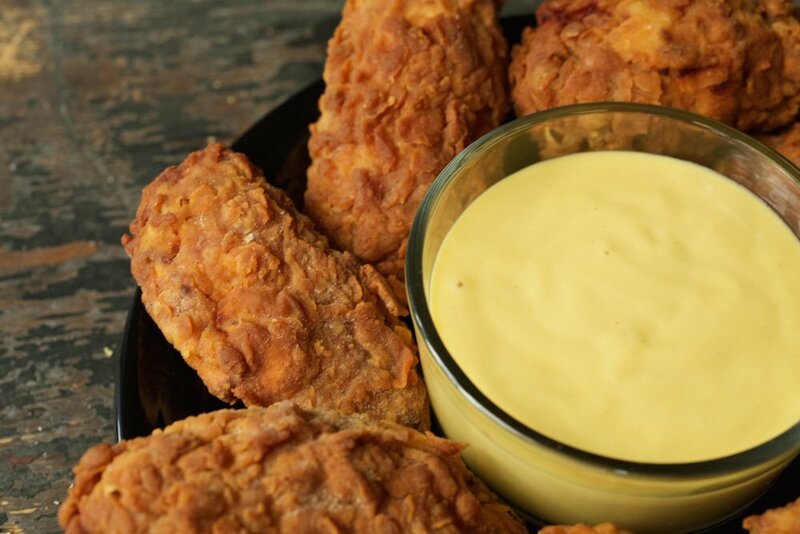 Finger licking good is an understatement! Below are recipes for the two dipping sauces I made and enjoyed thoroughly! Pour oil into deep fryer and turn on to heat. Wash off the chicken wings/legs and pat dry. Set aside. In a bowl, combine the buttermilk, eggs, paprika, hot sauce, salt, and pepper. In another bowl, combine the baking powder and baking soda and then pour into wet ingredients and whisk together. In another bowl, place the flour. 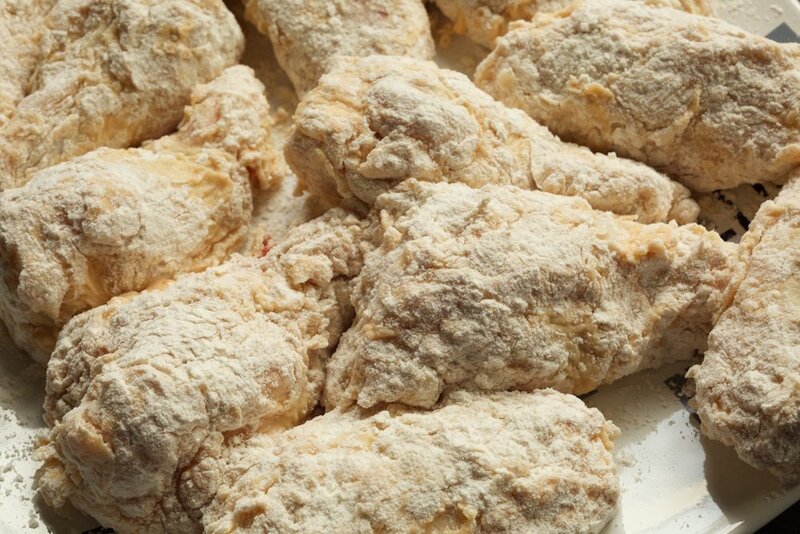 Now put each wing/leg into the flour (covering completely on all sides), then into the buttermilk mixture, and then back into the flour once more. Once all wings/legs have been covered, begin to drop into the heated oil. Let the wings/legs cook for 10-12 minutes each (I have a small fryer so I fried 3-4 wings at a time). Remove each wing/leg and place on a paper towel to dry off excess oil. Let cool, dip into your favorite sauce, and try not to leave too many crumbs behind. One step everyone. Mix all these ingredients together and you’re good to go. Made this recipe, and I love it! What temperature do you set the fryer to? 375? Yes, I set my fryer to 375 F when I make these now. When I originally made this my fryer was simply off or on, no temperature settings. So so good crunchy like I remember but easy to eat on old man! I’ll never order from a restaurant again, when I can make these myself thank you.